As a certified yoga instructor, I am a huge believer in the power of yoga to assist in healing. 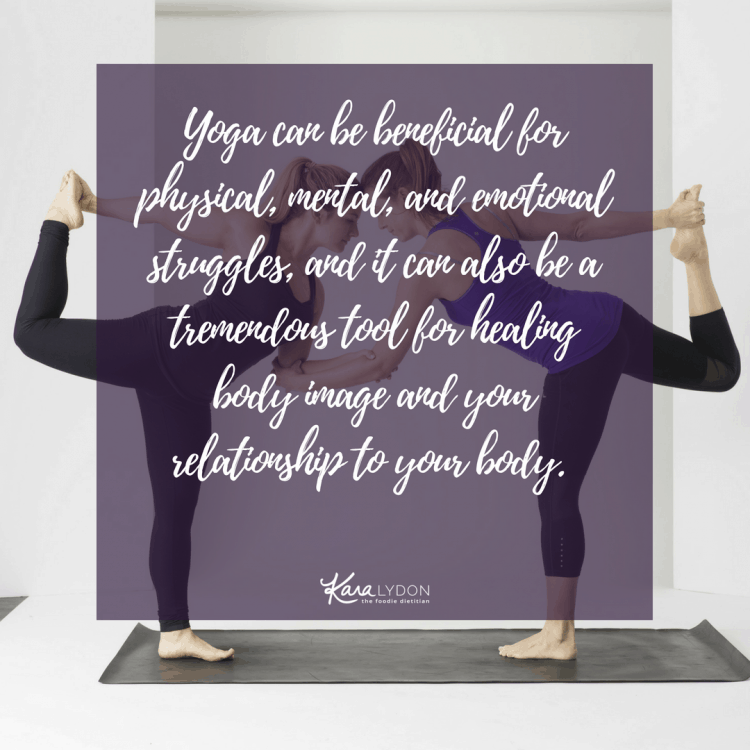 Whether it’s chronic back pain, history of trauma, recovery from an addiction, eating disorder, anxiety, depression, etc., practicing yoga consistently works wonders. I first tried yoga over 15 years ago, in high school. A friend and I started taking a weekly class at the Himalayan Institute in Buffalo, NY. Then I found yoga again in college when I moved to Boston. At the end of my first semester Freshman year, I started suffering from panic attacks. My anxiety spun out of control and it became pretty isolating and debilitating to say the least. That’s when I sought out yoga once again. The practice helped me to manage my anxiety and panic attacks and I don’t know how I would’ve bounced back without yoga. Today, yoga is a pretty regular part of my weekly routine. My relationship with yoga has changed a lot over the last few years due to injuries. I used to practice to get stronger and try to work towards inversions and arm balances. Today I practice for my soul. I gravitate towards more restorative and slower flow classes that re more focused on connecting mind, body and breath. Because of the impact that yoga has had on me and being that it is such a big part of my life and who I am, I was inspired to become a yoga instructor, so that I could help others realize the power of the practice. The problem with yoga is that there’s not a ton of diversity within the community. Most of the teachers we see (like myself) hold a lot of privilege in that they are white, cis-gender, thin women. This alienates marginalized people from benefiting from this healing practice. People see yoga teachers and think this practice can’t be for me because I don’t see anyone practicing/teaching that looks like me. We need more diversity within the yoga community. And we need more resources for people in larger body sizes to practice yoga. Remember that yoga doesn’t refer to just the physical practice, in fact the asana practice is just one of eight limbs of yoga. There’s also deep breathing and meditation, which we can all access at anytime. When we think of yoga in its more holistic definition, we realize that yoga is accessible to all. 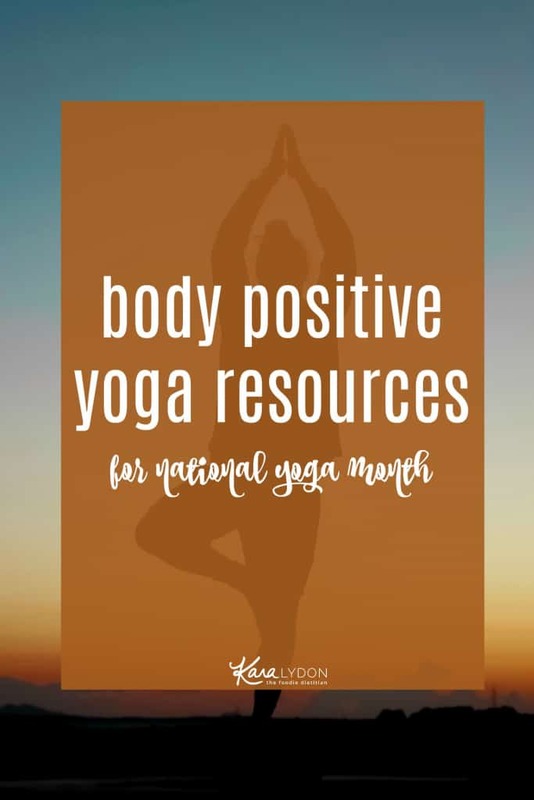 I hope you’ll take some time during this year’s National Yoga Month to check out these body positive yoga resources and see how it helps you connect to your here-and-now body, and spirit. Tell me, what resources would you add to this list? Would love to expand this based on your feedback! This post was originally published September 2014 and has been updated to give you the most valuable content! Thanks for sharing lovely information. I’ve had to re-evaluate my relationship with yoga, too. I’ve stepped back from it the last few years after getting burnt out from teaching and not loving some of the “yoga pressure” to “practice every day”. This gets me excited about it again. I love the non-judgment here :). Thanks Kara! Maybe I’ll dust off that mat! I totally get that, Stacey! Thanks for sharing your similar experience <3. It's always an evolving journey right, both on and off the mat! So many awesome resources!! Thanks for sharing! Great resources! Dana Falsetti (@nolatrees) did her YTT at a studio near me and a few of my friends were in her training class. She’s an amazing inspiration and yogi! This is such a great body positive message and yoga is so beneficial in so many ways! 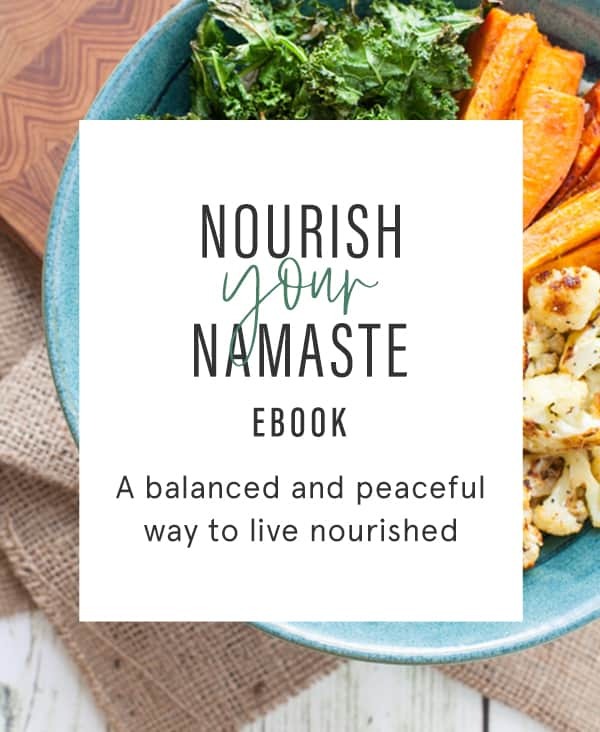 Do you have any yogi podcast recommendations? Hey Megan – great question! I don’t know of any off the top of my head but just polled my audience to see if they have any – stay tuned! I really appreciate and applaud the emphasis on positive body yoga as someone who is 57 and curvy. I’ve found myself going to the yoga-blend or yoga-flow types of classes and luckily in those the instructors tend to be very inclusive. As I age, I’m finding that yoga (or similar) only becomes more important. Congrats on your certification!! I am a yoga junkie as well. I just started practicing headstands and it’s tough but so awesome at the same time. I’m curious, what type of homeopathy did you do for your anxiety attacks? What did the naturopath help you with? Thanks, Emily! I’m still working on headstands too :). 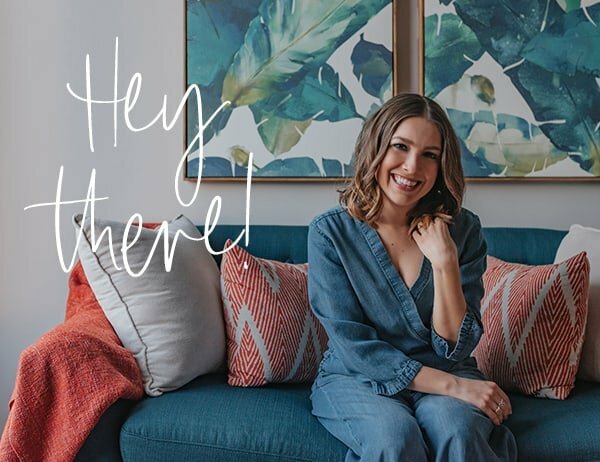 I worked with a homeopath named Joette – http://joettecalabrese.com/ – I would definitely recommend her if you’re interested in getting a consultation. I tried a few different remedies and this is going back oh nine years ago so unfortunately I don’t remember the names of the specific remedies off the top of my head. The naturopath was also helping with my anxiety too and focused on diet (gave up wheat & dairy for a while), supplements, and lifestyle recommendations. Hope this helps! Email me if you want to chat offline more! 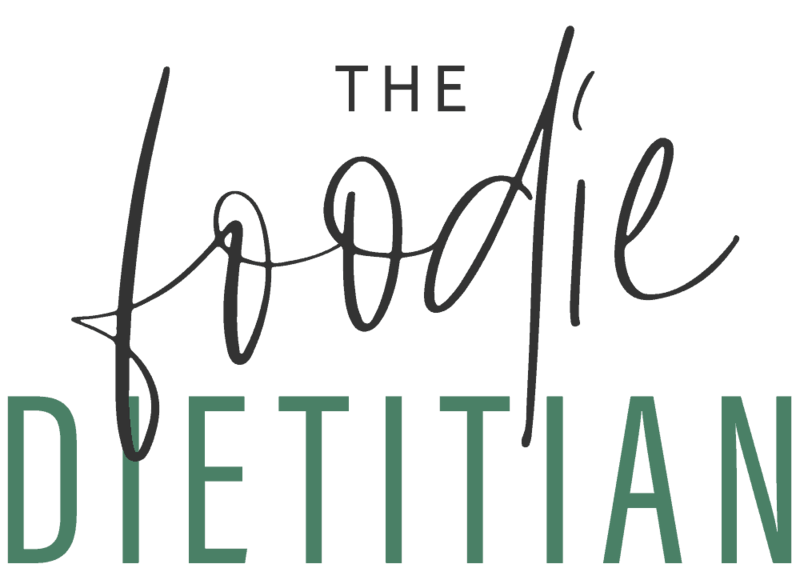 I love your blog it is simply beautiful and I love your recipes. Thanks, Alanna! And thank you for sharing your personal experience with yoga. I’m so glad that you found it helped you through some rough times as well. I also find that daily yoga (even if it’s only for 5 minutes or a few poses) has such a profound effect on my mental status. I only started practicing daily since I obtained my certification and it’s made such a difference!